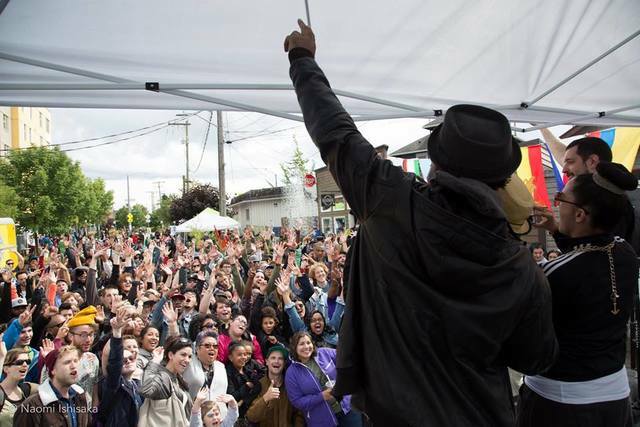 The free event in the Beacon Hill neighborhood primarily showcases hip-hop artists and seeks to provide a welcoming environment for people of color, the LGBTQ community and youth. 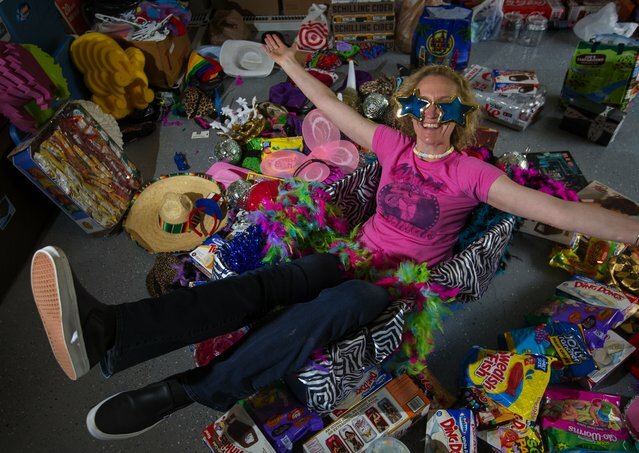 ​Seattle is one of 90 cities hosting a Mom Prom. The event is Saturday, May 20, and benefits Perinatal Support Washington. 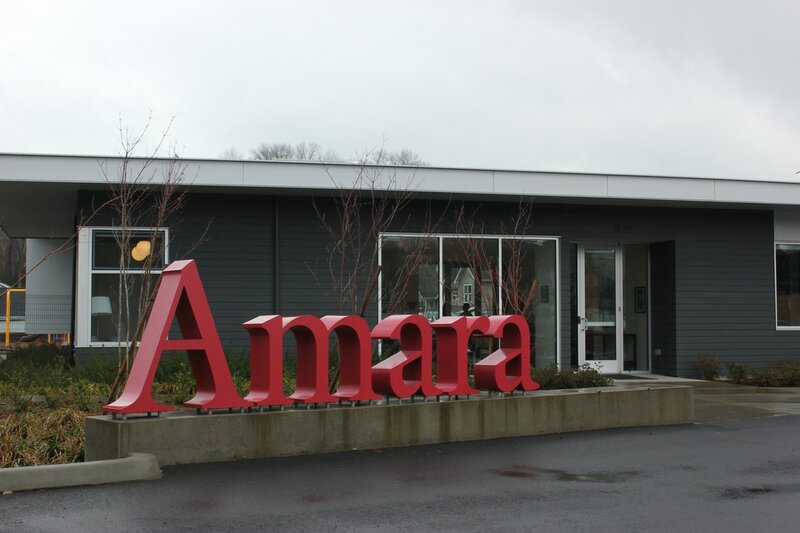 Amara's initiative to recruit more African-American foster parents will involve building relationships with community leaders, forming an African-American advisory council, and developing a new outreach plan. Seattle’s fiercest bike fight is settled — or is it? ​After more than two decades of bickering among bicycle and pedestrian advocates and business interests, Seattle appears to have finally settled on a route for the “missing link” — the controversial final 1.4 miles of the city’s beloved Burke-Gilman Trail. But the fight is not over yet. Seattle’s hills are the worst. Here’s a way to cope. AccessMap, which launched this month, is an online travel planner that helps users find accessible routes in Seattle. 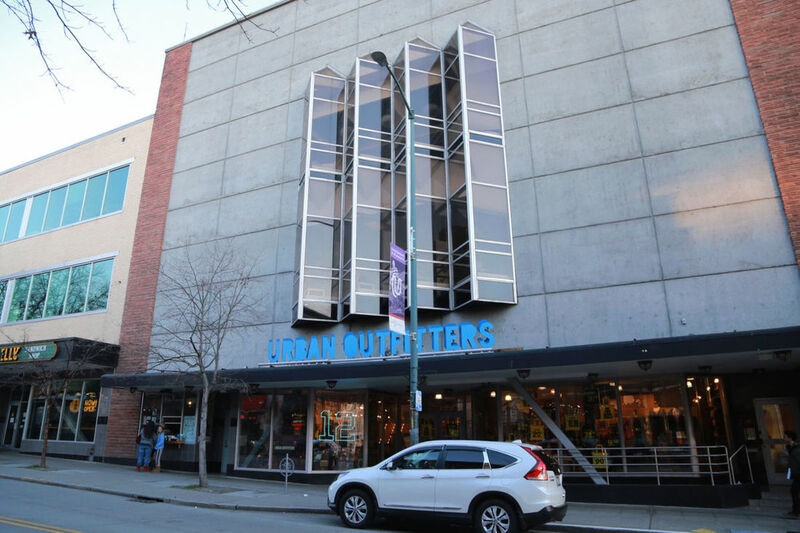 It lets them customize their routes to avoid obstacles like steep hills, sidewalks without curb cuts, and construction sites. Establishing more universal policies is a work in progress that state administrators, Title IX coordinators, student groups and other entities are tackling in a collaborative effort. ​The state of Washington’s attorneys celebrated a federal appeals court refusal to reinstate President Donald Trump’s partial immigration ban as a legal victory for constitutional rights and for people whose lives had been disrupted by the administration action. ​Salomon, an open source software developer, was born in Ecuador and has dual citizenship. His wife came to the United States as a refugee from the Soviet Union at age five. 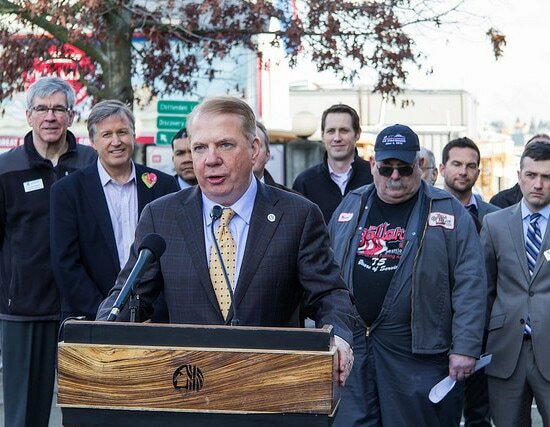 He would be Seattle’s first Hispanic mayor. ​Hoping to make sure that students and their families understand student loan debt, state Attorney General Bob Ferguson and a bipartisan group of lawmakers have proposed legislation requiring colleges to notify students about their loan balances and estimated monthly payments. The lasting legacy of Bernie Sanders’ stalwart campaign is likely to be a changing perception of socialism in the United States — especially among his younger supporters. 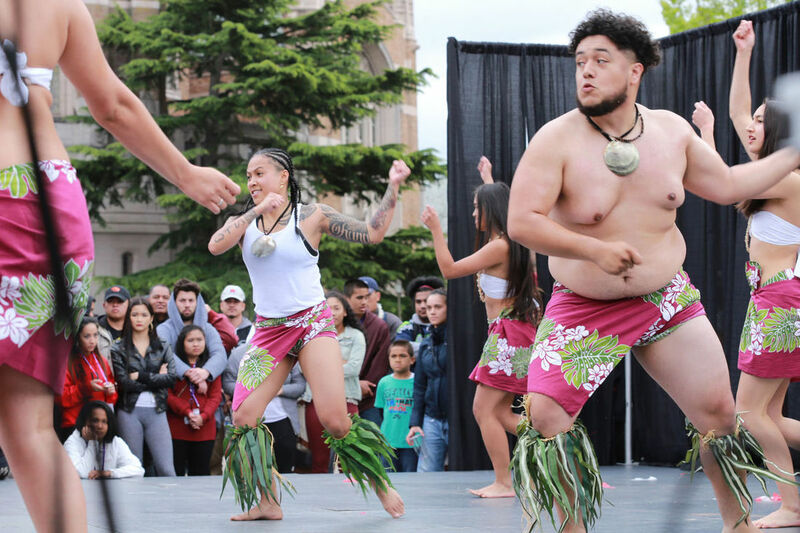 ​From high school outreach, to cultural celebrations, to environmental and political activism, PSA and MIC are increasing awareness of Pacific Islander culture on campus. While some view Pope Francis’ recent letter “Amoris Laetitia” — “The Joy of Love” — as a sign of a more welcoming Catholic Church, many American Catholics are disappointed that his message fails to change major institutional policies. Though many single-stall bathrooms at the UW have been designated as all-gender bathrooms, many remain labeled as either men or women’s. 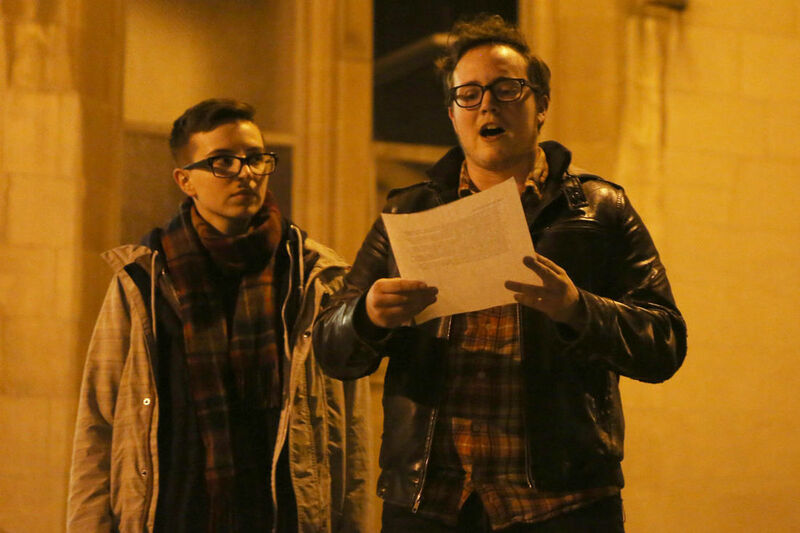 Academic student employees in UAW Local 4121’s Trans Equity Working Group have demanded the UW comply with the mayor’s ordinance, citing an article in their collective bargaining agreement that guarantees reasonable access to all-gender restrooms. Transgender children who are supported in their identities experience lower levels of depression and anxiety than those who are not, according to a recent study published by UW researchers. 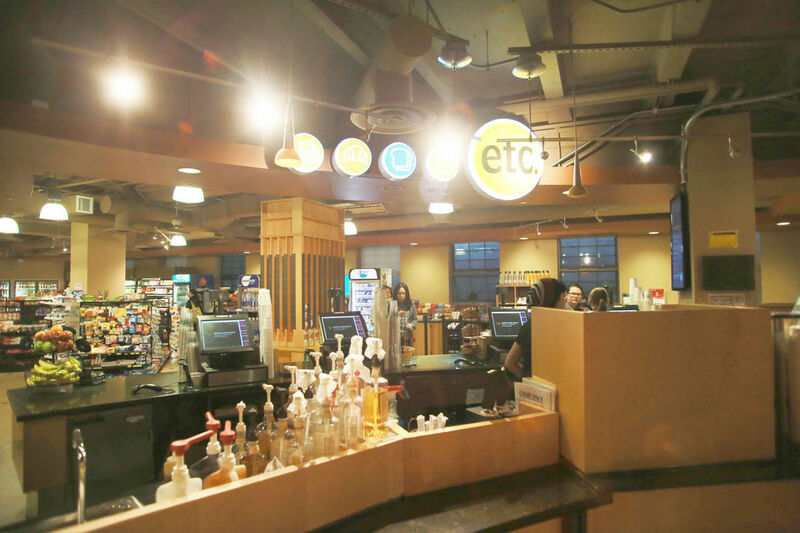 The price for dining plans from Housing & Food Services (HFS) on campus will increase by 5 percent beginning next fall quarter to accommodate increasing food prices and higher wages for student employees. 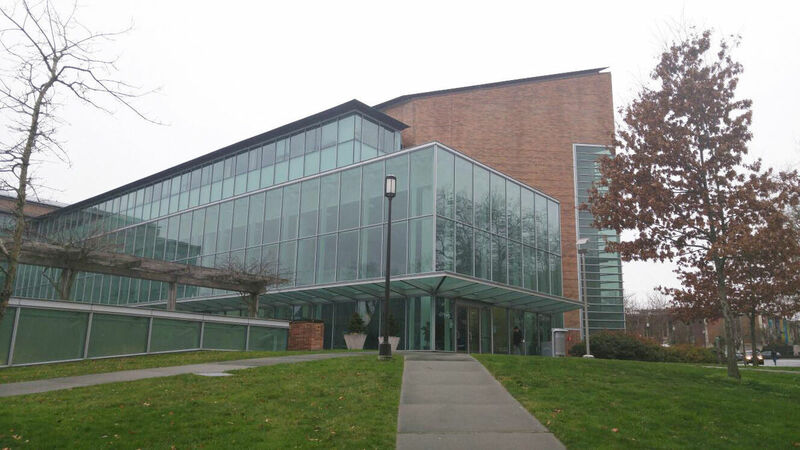 Clients apply to have their case considered by IPNW by filling out an application and mailing it to the law school. 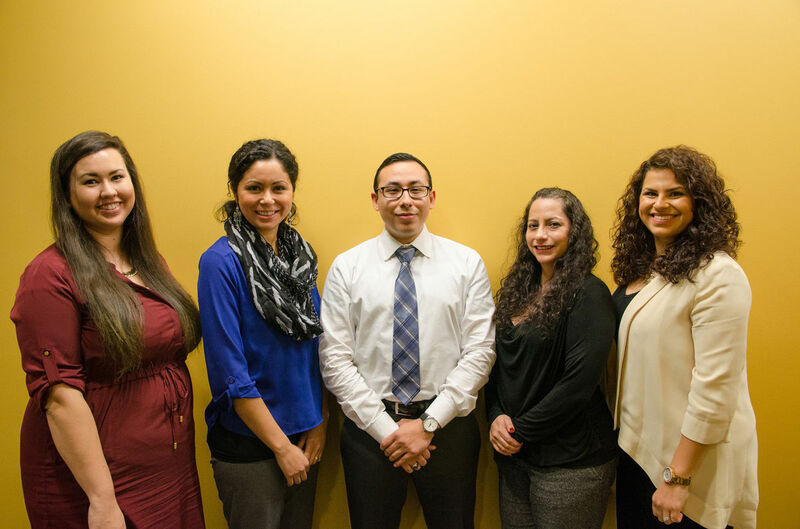 From there, IPNW attorneys, UW School of Law students, and volunteers evaluate the cases and work on requests for new DNA testing or other types of reexamination of evidence. 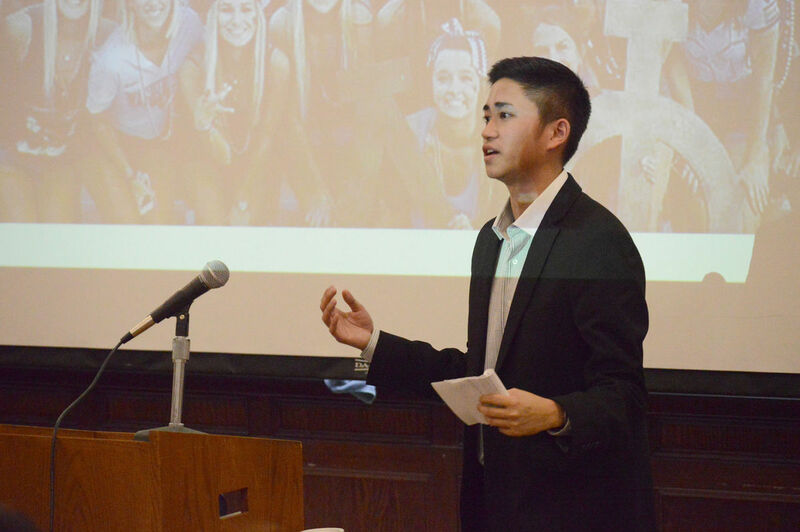 Wu began by discussing the history of the ASUW and his involvement since his freshman year. He then spoke about the ASUW’s accomplishments during autumn quarter, divided into categories of access and affordability, community cohesion, and student safety. The College Assistance Migrant Program (CAMP) supports students from migrant and seasonal farm working backgrounds during their first year in college. The federally-funded program provides a quarterly stipend, access to job opportunities, counseling, tutoring, and social activities. According to representatives of both stations, there are many benefits to the purchase, a primary one being improved 94.9 FM signal coverage for multiple areas around the Puget Sound, including Thurston County, Pacific County, Skagit County, and Victoria, British Columbia. 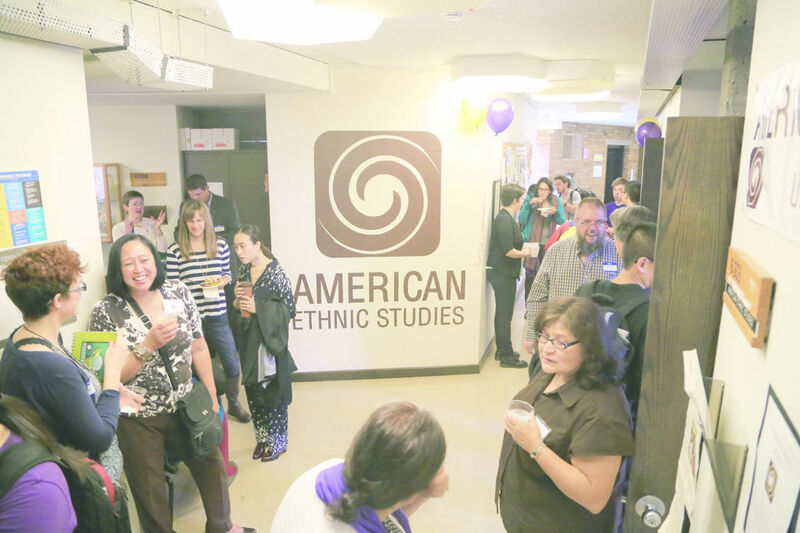 This year the American Ethnic Studies (AES) department celebrates its 30 year anniversary of becoming a department at the UW. In 1985, the Black Studies Program, the Asian American Studies Program, and the Center for Chicano Studies combined to form the AES department. 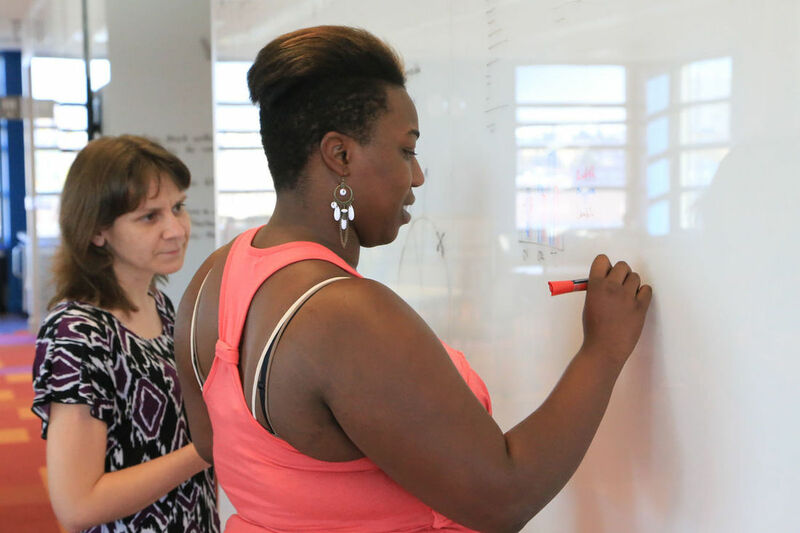 This summer, data scientists at the UW’s eScience Institute launched the Data Science for Social Good (DSSG) program, which matched data scientists with UW students, high schoolers, and local organizations seeking to address urban social issues in Seattle. 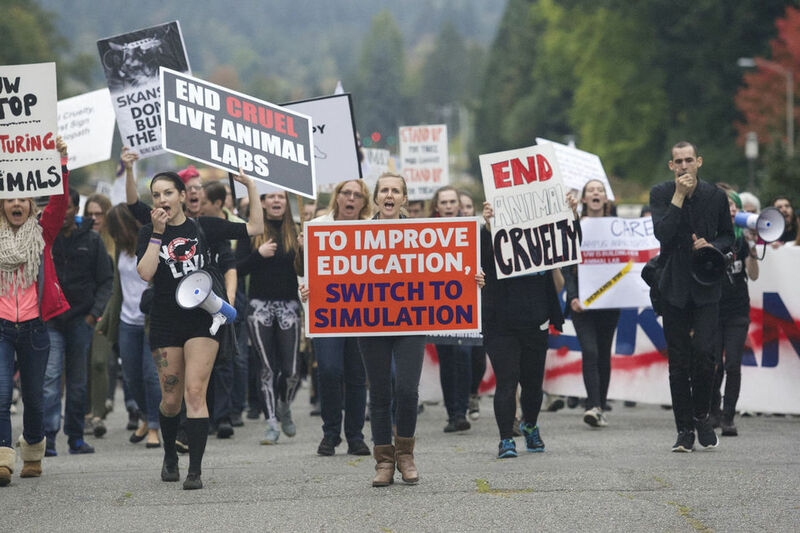 On Friday, about 300 students and animal rights activists marched to protest the UW’s construction of a new Animal Research and Care Facility. This march was the second demonstration organized by the No New Animal Lab campaign this year. During the past year, UW history professor James Gregory has been researching the Industrial Workers of the World (IWW), a radical labor union founded in 1905. This research is part of Gregory’s larger project called the Pacific Northwest Labor and Civil Rights Project, which he started in 2007. 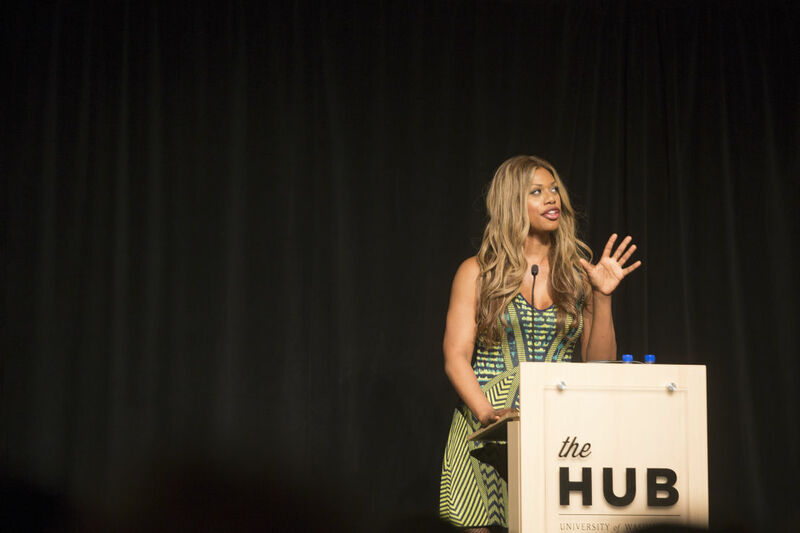 On Tuesday night, Laverne Cox spoke to more than 1,000 audience members in the HUB Ballroom. Known for her role on the Netflix series “Orange is the New Black,” Cox spoke about her experience as an African-American transgender woman. 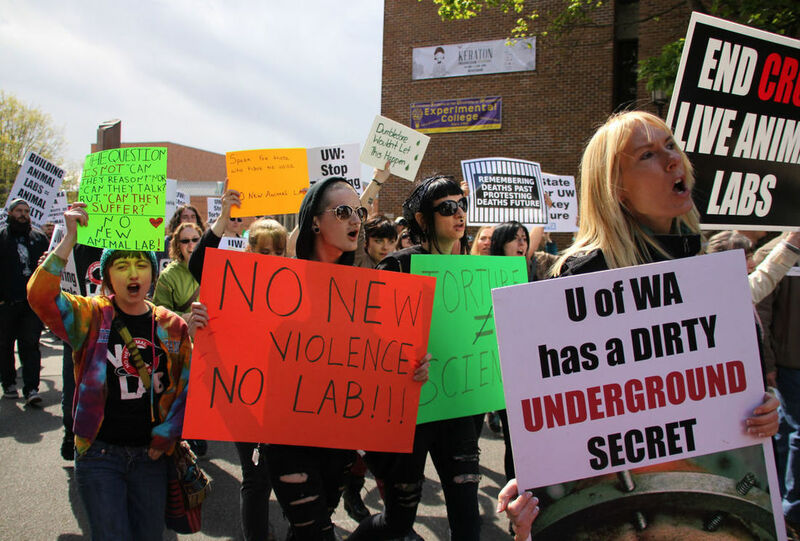 Hundreds of activists gathered to protest the construction of the UW’s new underground Animal Research and Care Facility on Saturday afternoon. 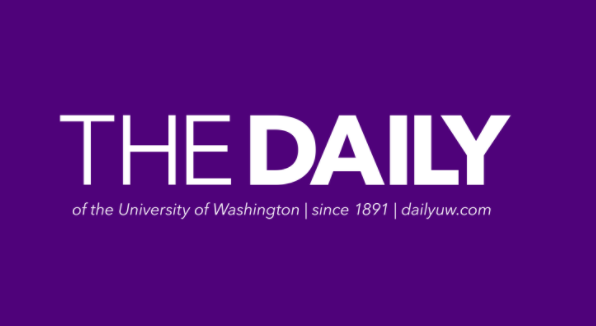 About 300 UW students, animal rights activists, and other members of the Seattle community gathered in Red Square and marched throughout the UW campus. The administration proposed eliminating two fee waivers for teaching assistants (TAs), student researchers, and other academic student employees.